Thank you Karen for bravely raising awareness so articulately on a high-profile TV show. Our community is the benefactor. In the 8 minute interview, Karen manages to explain that 'fish odor syndrome' does not cover the range of smells people can have. She also mentions the MEBO Research petition, which is part of the campaign by our international patient advocacy group to raise awareness, reach out to sufferers in the community to provide support, and to initiate research. For the last 10 years, 44-year-old Karen James has suffered from Trimethylaminuria (TMAU) otherwise known as fish-odour syndrome. Her breath constantly smells of rotten eggs and the problem also affects her sweat under times of stress. Unfortunately there is no cure. Karen’s symptoms started showing following some travel injections and a recurrent throat infection but she was told by doctors to just live with it. It was only through her own research that she find out about TMAU. Karen, who joins us today alongside Dr Dawn, describes her condition as an unrecognised disability and finds it difficult to lead a normal life. Bringing together people who have Trimethylaminuria (TMAU) , their families, friends and healthcare professionals in a positive, caring and supportive environment. 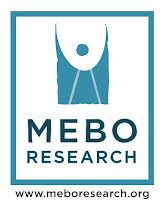 SUPPORT THE MEBO MISSION: Click Amazon button at right sidebar of this blog when shopping online at no extra cost to you. Use your credit card to make your donation.